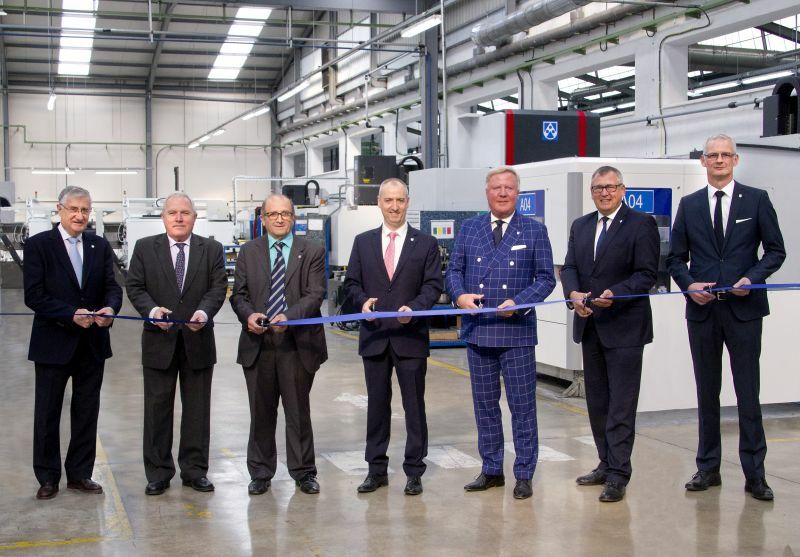 Bocairent/Spain, 17th May 2018 – Röchling Plásticos Técnicos S.A.U., Bocairent, Spain, has expanded its location by around 1,500 square metres of hall space. The new building creates space for expansion and further growth of the plastics processer. Customers will benefit above all from shorter delivery times and even better service. In the presence of important business partners, Sebastián Martínez, together with Franz Lübbers, Member of the Management Board of the Röchling Group and responsible for the Industrial Division, ceremoniously cut the ribbon and opened the new building together with Josep Vicent Ferre, Mayor of Bocairent, and José María Beneyto, Deputy Mayor. Josep Vicent Ferre said in his speech that he was pleased with Röchling’s commitment to the town and always supported the expansion. For example, improving the infrastructure of the industrial park created the conditions for the expansion. This close, trusting collaboration benefits the town and the residents of Bocairent. Röchling Plásticos Técnicos specialises in the machining of machined components made of thermoplastics according to customer drawings. In addition, semi-finished products made of thermoplastics as well as machined parts and semi-finished products made of fibre-reinforced plastics are distributed by Röchling. The products are used in numerous industries such as chemicals, food, lining technology and renewable energies.